There was a time, not too long ago in fact; where the car dealerships best friend was a catchy commercial, snappy theme song or strategically placed advertisements in the Sunday newspaper. However, as technology advances and consumers become more dependent upon mobile technology and devices, automotive dealerships are seeing the value in spending smart money on online marketing program such as search engine optimization or SEO marketing. 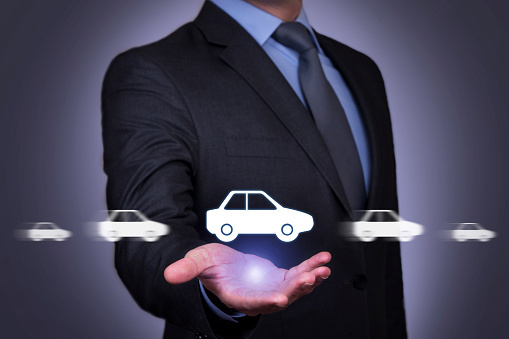 What is SEO Marketing for Automotive Dealerships? According to Fortune magazine, nearly half of the US population actively purchase items online; including major purchases including new cars, trucks and SUV’s. However, more than 80 percent of all consumers locate a business by searching Google or other search engines based on keywords that describe the business. For example, if somebody was looking to purchase an Audi in San Diego, they would typically enter Audi Dealership in San Diego in the Google search engine and top results would appear. SEO marketing is the process of developing quality written online content that has a certain density and focus of ‘key words’ that naturally appear throughout a page of online content. The goal of SEO marketing is for a website or individual website page to appear at or near the top of Google and other search engines pages, giving consumers the first opportunity to click on their site to discover if they offer the service or sell a product they are actively searching. SEO marketing however, extends much more than simply inserting keywords into content. The quality of the content written: If the content reads naturally, is of high authority and is shared frequently through social media and other online platforms, search engines will consider the content to be of high quality – and thus, rank the page higher than other pages with similar key words. The context of keywords: In the early days of SEO Marketing, the goal was to stuff as many keywords into a sentence as possible, so the search engines would rank a page higher. However, this stimulated a lot of horribly written website copy that served no purpose to consumers, so Google and others created updates to their SEO guidelines that penalized pages for too many keywords that did not appear naturally within the content of the page topic. Backend development of the website: There are multiple website technical processes that must also be done in conjunction with SEO written content to maximize search engine optimization. These days, dealerships are seeing the value in GEO SEO Marketing, which is highlighting keywords and website content specifically aimed at a certain geographic area. Using our San Diego Audi dealership as an example, here is how this works. San Diego has many cities and towns that make up the metro area, one of which is Mission Beach. The dealership would hire a professional online marketing company to create website pages that focus on Audi dealership in Mission Beach, even if their dealership is in a city a few miles away. This is due to consumers in Mission Beach searching online for a dealership near them that sells Audi vehicles. Take this concept and multiply it by 5 surrounding cities within a 10-mile radius, and your dealership is now actively targeting tens of thousands of local consumers looking for you online. There are multiple steps involved in search engine optimization or SEO Marketing for automotive dealerships. The key is understanding the value and growth potential it represents. As more people search online for goods and services in their hometowns, all businesses looking to capture those targeted consumers should seriously consider SEO marketing as a smart investment for business growth.